The amendment must still be included in the final appropriations bill, but there seems to be enough support in Congress to insure that. Make no mistake, this is a huge victory for the forces of good. But there is another shoe that is likely to drop this week when the DOJ's Task Force on Crime Reduction and Public Safety puts their recommendations on Sessions' desk. 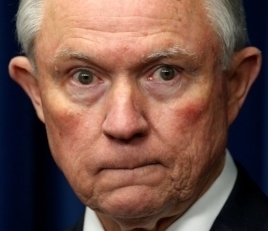 The Task Force's areas of focus, according to Sessions, are methods by which “the federal government can more effectively combat illegal immigration and violent crime, such as gun crime, drug trafficking, and gang violence." Marijuana's inclusion in the three areas of federal policy review can't be seen a promising sign, under an AG who has a long and batshit crazy history of linking cannabis itself (not cannabis prohibition) to crime and violence, and calling for federal enforcement of prohibition regardless of state law. We should also note here that while Sessions appears to be in the President's cross hairs over his recusal decision, he has steadfastly remained in his post, talking about the importance of his policy work to the nation. Signals from the Senate GOP to the White House on the consequences should he be fired give him strong backing, (and this is unlikely to change based on whether or not he goes after legal cannabis) and the fact that Sessions no longer has to worry about keeping Trump happy may well embolden him to say damn the politics, and damn the public support, and to do what he's always wanted to do, which is to take on cannabis legalization directly.